What Happens to Donated Clothing? A staggering 85 percent of clothing and textiles ends up in landfills, even though 95 percent can be reused or recycled. Americans throw away 8.1 trash bags of clothing on average each year or 26 billion pounds collectively. This is surprising considering aluminum beverage can recycling rates in the United States are at 65 percent. Americans embrace recycling household waste, yet unwanted clothing is commonly discarded. To better understand the scope of the issue and possible solutions, TriplePundit spoke with Tony Shumpert, vice president of reuse and recycling for Savers. This global thrift retailer offers quality used clothing, accessories and household goods, and partners with nonprofit organizations to keep 650 million pounds of reusable goods out of landfills each year. "We go through every single donated item to determine what is of the level of quality for our sales floors," Shumpert told 3p. "In fact, approximately 60 percent is priced for resale in our stores or makes its way to another process of reuse. "For other items, we have worked really hard to find different opportunities throughout the world. What can't be used in its original form is put to other uses, such as making cotton T-shirts into rags, installed as the material behind the dashboard in a car, used as insulation or re-spun into a new material." With more clothing and textiles ending up in landfills than ever, Savers wanted to know why. 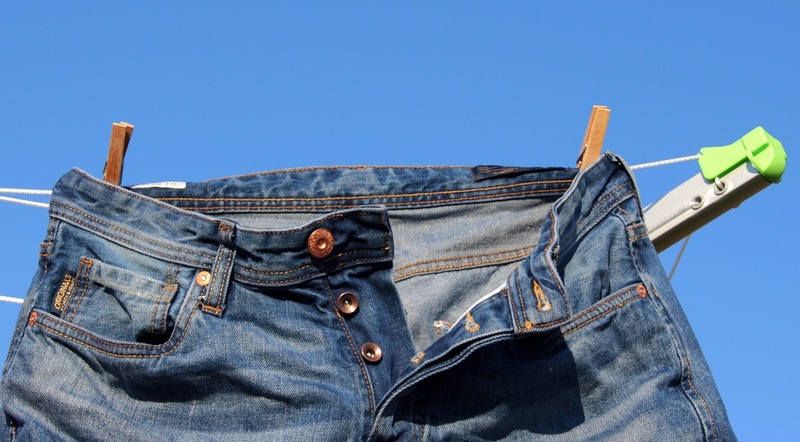 The company commissioned a study to understand why people aren't doing more to reuse and recycle clothing, and released its State of Reuse Report last month. Creating a significant jump in clothing reuse and recycling rates requires overcoming a few major hurdles, Savers found. Although it isn't obvious at first glance, the fashion industry has a major impact on our planet. It has even been called the second dirtiest industry in the world after big oil. This is in large part due to the impact of growing and dying cotton, with its astounding environmental impact. Although a mere 2.4 percent of cropland is dedicated to cotton production, it accounts for 24 percent of global pesticide use. It is also a very thirsty crop which often needs to be cultivated on irrigated land. "It can take over 700 gallons of water to create just one T-shirt and over 1,800 to manufacture a pair of jeans," Shumpert explained. "When you think of that, the more we can donate these products and get them into a reuse stream versus throwing them away, the less burden we put on our environment." Although many people think twice before throwing a recyclable beverage bottle in the trash, this is not always the case for clothing. When most of us think about polluting industries, we often think of coal power plants or oil refineries, not the T-shirts on our backs. Clearly, reusing clothing to decrease the need for such large quantities of virgin material production is a simple solution. "Although the rate of recycling for paper products is around 65 percent, clothing is only at a 15 percent rate," Shumpert told 3p. "In fact, 95 percent of clothing and textiles can be reused or recycled. "More than half of the respondents [in our State of Reuse Report] were more likely to reuse after learning about the clothing industry's environmental impact. This information highlights the fact that there needs to be more education. Tips on clothing and textile reuse could be taught in schools." "Donating clothing has a major benefit in communities," Shumpert said. "People donate items to one of Saver's nonprofit partners. They then convert clothing and household items into revenue by selling those goods to us. Through clothing donation, people can support many causes that are critical to serving a wide group of individuals in need in the local community. It creates this opportunity to have this sustainable, consistent, unrestricted funding for their missions." Some of the organizations that Savers partners with include: Big Brothers Big Sisters, Easter Seals, the Epilepsy Foundation and the YWCA. To make it simpler to donate clothing and household items, Savers stores are also donation centers. The nonprofit partner associated with the store then directly benefits from these donated items. If people are aware of the social benefits of donating, this can also help boost rates. According to the State of Reuse Report, "Once people do make the decision to donate, helping others outweighs convenience, sparing landfills or even tax write-offs. Sixty-four percent of Canadian respondents and 59 percent of U.S. respondents donate goods to benefit nonprofit organizations." Of people who do not donate clothing, the State of Reuse Report found that 1 in 3 found it easier to throw items away. Since most of us have garbage cans or dumpsters within feet of our homes, it is hard to make things more convenient than landfilling. "I've noticed that donors have shifted and need to have more convenience built into the [donation] process in order for them to be motivated to donate," Shumpert told us. "There is a movement to try to drive more convenience into the [donation] process. In our system, there are donation centers located at our stores, and we are working on broadening donation points with clothing drives to unlock the potential. Many of our nonprofit partners also pick up clothing at a donor's doorstep." Space constraints can both encourage and hinder clothing donations, Savers found. Running out of closet space was the top reason people were prompted to donate clothing. And the more convenient it is to donate clothing, the less space people will need in their homes to store clothing before donating them, as they can make more frequent trips to donation centers. So, the next time you notice that long-forgotten sweater or pair of pants in the back of your closet, don't just close the door. Turn your trash into a benefit for both the environment and your community.